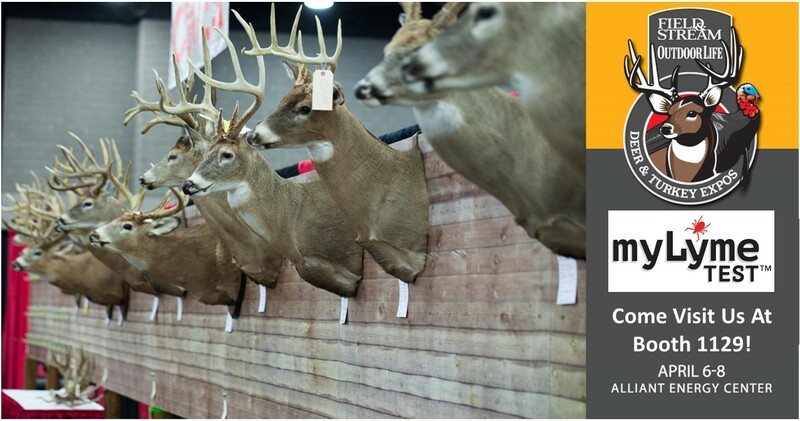 MyLymeTest | Come Out and See myLymeTest at the Wisconsin Deer and Turkey Expo! myLymeTest™ will be exhibiting for the second year in a row at the Wisconsin Deer and Turkey Expo! Stop by and check out Booth #1129 at the Alliant Energy Center April 6-8 to learn more about our simple and convenient home blood sample collection kits for Lyme disease testing. With the addition of our new product, K9myLymeTest, you can screen yourself, your family and your dog for Lyme whenever you want, wherever you want! myLymeTest and K9myLymeTest provide everything you need for early Lyme detection. The earlier Lyme disease is detected and treated, the greater the chance for a full recovery. If left untreated, the disease may progress with memory loss, swelling, joint pain and neurologic complications common. myLymeTest products combine convenience with peace of mind. Don’t worry, we’ve got you covered! For more information on myLymeTest products, stop out at Booth #1129.